« CAFNEC’s vision to improve management for the future of the Northern Great Barrier Reef. 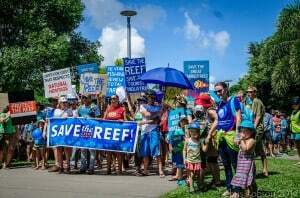 The Australian and Queensland governments have released the Reef 2050 Long-Term Sustainability Plan for public comment over a six week period which ends on 27 October 2014. The Plan is designed to inform future development providing an over-arching framework to guide protection and management of the Great Barrier Reef World Heritage Area from 2015 to 2050. The Reef 2050 Plan has two components—the Reef 2050 Long-term Sustainability Plan and the Reef Trust. CAFNEC has identified 9 priority areas for protecting the Great Barrier Reef with a particular focus on Far North Queensland. These priorities form the basis of this guide and are available online or in hard copy from CAFNEC. 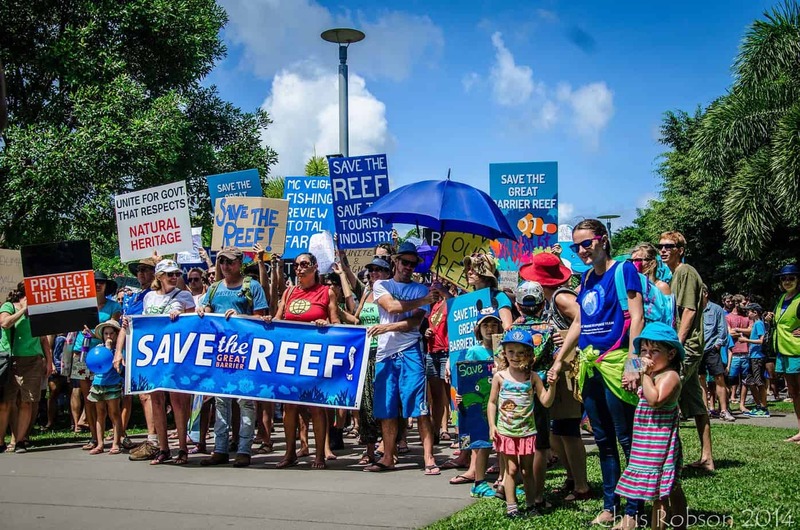 CAFNEC encourages community engagement in the ongoing battle to save the Reef and has prepared this guide to assist members of the public to make comment on the draft plan. Also available below is a proforma letter you can copy and paste and adapt or sign and send. Comments close on 27 October 2014. Below are some suggested key points that you could make in your submission to the Reef 2050 Plan. The Reef 2050 Plan must not be another plan to do more planning – in too many cases in the 2050 Plan there is reference to additional planning and strategy development rather than concrete commitment to actions. Mandatory incorporation of Reef Plan outcomes and targets into all relevant legislative and policy processes is crucial and lacking in the current draft. While the establishment of a Reef Trust is a step in the right direction there is a risk that this trust simply becomes a new name under which existing funds are distributed. There is a need to significantly increase the amount of resourcing available to achieve the outcomes of the Reef 2050 plan rather than just undertake creative accounting. The Reef 2050 Plan fails to address the protection of areas that are currently in good condition, particularly the intact ecosystems of Cape York Peninsula. Clear protective mechanisms for these areas must be articulated in the 2050 Plan to avoid repeating mistakes made in the South. Of particular concern is large-scale land clearing, damming of rivers and an intensification of human-caused run-off (e.g. mining, overgrazing), especially from previously undeveloped areas. The Plan should clearly prohibit indefinitely new dredging and dumping within and adjoining the World Heritage area, in line with the precautionary principle. We should not be undermining work being done to improve reef water quality through a reduction in run‑off from reef catchments, or the government funding being spent to do so, by funding and allowing new dredging and dumping. The Plan should include a specific independent monitoring program for dredging and dredging impacts with all results being publically available and with specified timelines for prompt release of information to the public and researchers. Any new port infrastructure must be designed to avoid dredging and associated dredge spoil disposal. Alternatives that do not involve dredging must be adopted and this needs to be better reflected in the Plan. A key concern of the World Heritage Committee is ensuring there is a cumulative assessment of impacts: however there are no commitments to ensure cumulative impact ‘guidelines’ will be given force of law. The Outlook Report 2014 identified climate change as one of the most important threats to the GBR. However the Reef 2050 Plan does not contain a section on climate change, which is a glaring travesty. The Plan offers a massive opportunity to ensure that in the future climate change causes and impacts are incorporated into all relevant planning and legislative processes. To achieve the outcome of no detrimental impact on the reef, the plan must more clearly outline the legislative basis and enforcement resourcing for the implementation of real and scientifically determined standards for urban, point-source, agricultural, shipping, mining and industrial discharges into reef and coastal waters. The plan must include an outcome and targets that specifically address the prevention of negative water quality impacts in the Northern (Cape / Wet tropics) region. This target and associated actions must permanently protect sensitive coastal habitats from development, including Cape York. This will mean no new coal or other mineral mining and shipping in the sensitive coastal catchments of the Cape and better regulation of clearing, agricultural developments, existing mining and other developments. Recent changes to Qld’s vegetation laws in 2012, significantly weaken protection for vegetation broadly in all GBR catchments and thus significantly weaken protection of water quality in the GBR. Many hundreds of thousands of hectares of regrowth vegetation are now vulnerable to clearing and the plan need to address this. It is crucial that the Reef 2050 Plan outcomes are imbedded into the broader legislative and policy agenda for environmental management. The Plan needs real commitments to change Qld’s laws to give effect to the objectives and targets in the Reef 2050 Plan. Without such commitments, it represents a ‘business as usual’ approach. In line with the Senate inquiry report into the management of the GBR, the Reef 2050 Plan should address grave concerns about the Australian Government’s ‘one stop shop’ proposal. This is particularly important in the context of developments in Queensland where the State Government may be the proponent. It is completely inappropriate for a government to be regulating itself in this manner. The plan needs to clearly articulate the need for a more independent GBRMPA and outline with clear targets and actions how the Authority is to be better funded and allowed genuine independence in decision making and regulation of activities impacting on the reef. I would like to formally submit the following feedback regarding the Reef 2050 Plan. As a resident of Far North Queensland I have a genuine affinity with the reef and a sincere interest in its long term protection. I commend the State and Commonwealth Governments on reacting to the concerns of UNESCO and producing this draft plan. While I am broadly supportive of the outcomes put forward in the plan, I believe that there is much that can be improved. The Reef 2050 Plan must not be yet another plan to do more planning – in too many cases in the plan there is reference to additional planning and strategy development rather than concrete commitment to actions. It is crucial that the Reef 2050 Plan outcomes are imbedded into the broader legislative and policy agenda for environmental management. The Plan needs real commitments to change Qld’s laws to give effect to the objectives and targets in the Reef 2050 Plan. Without such commitments, it represents a ‘business as usual’ approach. The plan must include an outcome and targets that specifically address the prevention of negative water quality impacts in the Northern (Cape / Wet tropics) region. This target and associated actions must permanently protect sensitive coastal habitats from development, including Cape York. The plan should clearly prohibit indefinitely, new dredging and dumping within and adjoining the World Heritage area, in line with the precautionary principle. 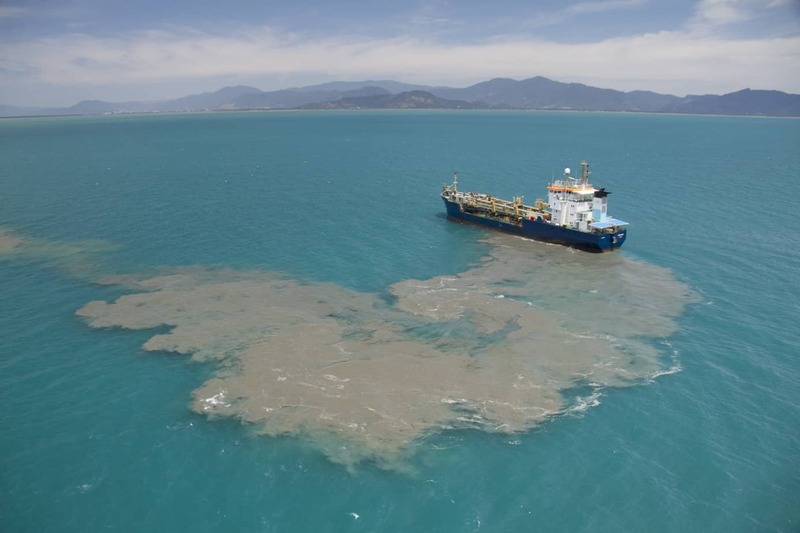 We should not be undermining work being done to improve reef water quality through a reduction in run off from reef catchments, or the government funding being spent to do so, by funding and allowing new dredging and dumping. The Outlook Report 2014 identified climate change as one of the most important threats to the GBR. However the Reef 2050 Plan does not contain a section on climate change, which is a glaring travesty. The Plan offers a massive opportunity to ensure that climate change causes and impacts are incorporated into all planning and legislative processes that may have any relation to the reef into the future. Thank you for this opportunity to make comment on the Reef 2050 Plan. I hope that the finalised Plan will take into account the issues raised in this submission.